Funeral services will be held at 11:00 A.M. on Monday, October 5, 2015 at the Daniel Funeral Home in St. 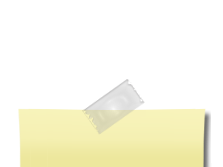 Cloud, MN for Paula Lee Lanphier, age 72 of St. Cloud, MN who died at her home in St. Cloud, on Monday, September 28, 2015. Pastor Ryan Conrad of Solid Rock Church will officiate. Visitation will be on Sunday, October 4, 2015 from 4:00 P.M. to 8:00 P.M. and one hour prior to the services all at the Daniel Funeral Home in St. Cloud. Paula was born on October 31, 1942, in Oneonta, NY, the daughter of Paul Everett Conkle and Ruby Lee (Cochran) Conkle. She grew up in Warsaw, IN. She attended school and graduated from Warsaw Community High School. 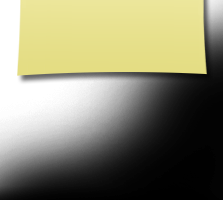 Paula attended Purdue University before marrying Robert Stanley Kirkman. She and Robert raised two children, Hans and Ursula Kirkman while moving around the country with the United States Forest Service. They lived in West Virginia, three locations in California, Idaho, and Wisconsin. After Robert passed away, she then married Kenneth Vernon Lanphier. Paula and Kenny lived in Duluth before moving to St. Cloud in 1989. Paula spent only a couple years working outside the house as an administrative assistant. Most of her work was done within the home as a mom and as a volunteer. Her enjoyment in life was sharing Christ her savior and quilting. She used both bless and honor everyone she knew. Her quilts have raised over $60,000 for Birthline here in St. Cloud. She has taught quilting, sewn professionally, and quilted as her hobby. Paula owned Cat’s Meow Quilts and was active in state and local quilting shows. She has travelled overseas and gone coast to coast in the United States to teach and enjoy quilting retreats. In addition to her parents, she was preceded in death by her first husband Robert Stanley Kirkman, her second husband Kenneth Vernon Lanphier, and two sisters, Cindy Pamel Cripe and Claire Margo Conkle. She is survived by, one daughter, Ursula C. Eggen and her fiancé Jim R. Heyen of Ulen, MN and one son, Hans C. (Margaret L. Johnson) Kirkman of Vine Grove, KY, her grandchildren, Cristen Seitz, Margo Eggen, Mitchell Lance Kirkman, Braxton Logan Kirkman, Everett Lawrence Kirkman, Keaghn Lee Kirkman, Grayson Layne Kirkman, Caroline Louisa Kirkman, Suzannah Lizette Kirkman, Margaret-Anne Lillian Kirkman, and Abigail Lydia Kirkman, one great grandson Connyr Seitz, one sister, Lynn Ann Keane of Bluffton, SC, nieces and nephews, other relatives and many friends. Robert William “Coach” Lichtenwalter, age 88 of Warsaw, Indiana passed away Wednesday, July 15, 2015 at 10:27 PM in Hospice Home of Fort Wayne. He was born September 6, 1926 in Warsaw, IN to Ralph and Naomi ( ) Lichtenwalter and was a lifetime Warsaw resident. He faithfully served his Country during WWII in the United States Army from 1945 to 1947 as was discharged as a Corporal. In Warsaw, IN on March 2, 1947 he was united in marriage to Mary Suzanne Rigdon who preceded him June 22, 2005. He received a B.A. in Education from Manchester College and a M.A. in Education from St. Francis College. He was formerly employed by Warsaw Community Schools as a Teacher and Coach and was a longtime Executive Director of the Baker Youth Club. Social, professional memberships and awards include St. Anne’s Episcopal Church where he was a Founding Member; John C. Peterson American Legion Post #49, Warsaw where he was Lifetime Member and served as Post Commander and a member of the Honor Guard; 80-year member of the Baker Youth Club and Boys & Girls Club of America and received the Lifetime Achievement Award from the national organization; B.P.O.E. Elks Lodge #802 where he served as Exalted Ruler; Kosciusko County Historical Society; Indiana State Teachers Association; a former member of the Board of Directors of the Kosciusko County YMCA and the City-County Athletic Complex; Warsaw Chamber of Commerce Man of the Year 1979; numerous awards and recognition for his contributions to Warsaw Athletic during his lifetime; awarded The Order of Kosciusko by Post American Legion Post #49 for his contributions to local veterans and his community. Survivors include daughters Judy (spouse Michael) Kinsey of Warsaw, IN and Malissa Lichtenwalter of Auburndale, MA. In addition grandchildren Sean (spouse Erin) Kinsey of Mount Horeb, WI; Amy Kinsey Ireland of Indianapolis, IN and Megan (spouse Raavi) Kinsey Iqbal of Philadelphia, PA and great-grandchildren Angus and Malcolm Kinsey, Wisconsin, Paddy and Ryan Ireland, Indianapolis, IN and Remi Kinsey Iqbal of Philadelphia, PA survive. Visitation hours are scheduled for Monday, July 20, 2015 from 4:00 to 8:00 PM at St. Anne’s Episcopal Church, Warsaw. A Funeral Mass is scheduled for Tuesday, July 21, 2015 at 12:30 PM at St. Anne’s with The Reverend Corinne Hodges officiating. McHatton-Sadler Funeral Chapel, Warsaw is entrusted with arrangements. Interment will be in Oakwood Cemetery, Warsaw with Military Honors conducted by American Legion Post #49, VFW Post #1126 and the Indiana A.R.N.G.. The Family would like you to consider giving of your time, talents or treasures to programs at St. Anne’s Episcopal Church, the American Legion Post #49 and the Baker Youth Club. Furthermore, you are encouraged to honor Coach Lichtenwalter by donating to the Memorial Fund at the Kosciusko Community Foundation, 102 E. Market St. Warsaw, IN 46580 or online at https://www.kcfoundation.org/donate. 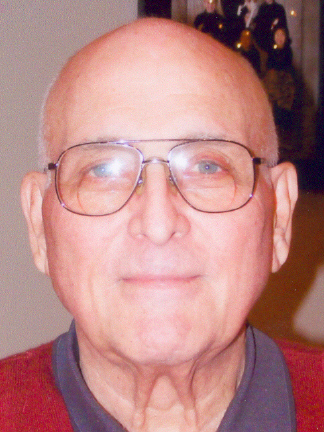 Vernon Dee Zolman April 6, 1942 - June 14, 2015 MISHAWAKA - Vernon Dee "Bud" Zolman, 73, came to rest June 14, 2015, at his home in Naples, Florida. Bud was predeceased by his parents, Maynard and Irma Zolman of Claypool, IN, and his childhood sweetheart, best friend and wife of 49 years, Diane Kay (Silveus) Zolman. Together they had 3 children and 10 grandchildren: Stefani (Zolman) DeSchepper (Dan), Heather, Holly & Hannah DeSchepper of Osceola, IN; Jacquelyn (Zolman) Gizzi, Cory (Amanda) & Rocky Gizzi of South Bend, IN; and Nathan (Tabitha) Zolman, Jared, Brock, Meadow, Noelle, and Avory Zolman of Granger, IN. Bud is also survived by a brother, Jan (Joyce) Zolman, nephew, Brad (Kathy) Zolman, and their daughter, Brooklyn of Warsaw, IN, a sister, Jeanne Hoffman, and nieces, Daphne, Dana, Dyan and Danielle of Simi Valley, CA. Bud became the man of the house at the age of 14 with the death of his father. He spent each day, for the rest of his life, working hard, mentoring and modeling integrity to everyone he met. He was a 1960 graduate of Warsaw High School, attended Manchester College, and was a 32nd degree Mason. He initially worked for Corporate Firestone as a Roaming Store Manager & Credit Manager. In 1966 Bud helped Ray Monteith and Paul Zurcher open the first Monteith Tire in Warsaw. In 1978 the Zolman family moved to Mishawaka and opened their own store, Bud Zolman's Tire. With Bud's guidance and wisdom, he and his son Nate grew the family business. Now called Zolman's Tire & Auto Care, the company has expanded to 7 locations, 10 departments, and over 100 employees who are truly extended family. Bud had a contagious smile, ornery twinkle in his eye, a generous heart, and the love and respect of all who knew him. He had a thirst for speed and quenched it by racing snowmobiles, testing Indy cars for the Andrettis, driving supercharged muscle cars which he fine-tuned himself, and a brief stint with motorcycles in the 80's. Bud left this earth unexpectedly with the speed he loved and has now rejoined the love of his life on that eternal dance floor. Visitation will be held at Bubb Funeral Chapel, 3910 North Main Street, Mishawaka, IN, June 26th from 4-7 pm. Visitations will also be held June 27th from 10 am-12 at First United Church of Mishawaka, 201 E. 3rd St., Mishawaka, IN. A memorial service will be held at noon and a meal will be served in the Fellowship Hall at 1 pm. Both flowers or memorial contributions to Big Brothers Big Sisters of St. Joseph County may be sent to Bubb Funeral Chapel. 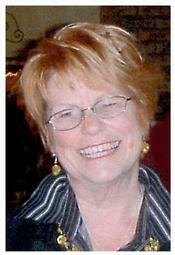 Sharon Trine Hill, 72, of Ligonier, passed away on July 17, 2014 at her daughter’s home. She was born on April 29, 1942 to Juanita Trine in Columbia City, Ind. She married Jimmy Hill on April 14, 1965. He preceded her in death on February 6, 2007. Sharon and her husband built the Charger House Restaurant, which she named. They also owned several area businesses. She retired from Millenium Industries. She was very devoted to her grandchildren and enjoyed attending their various activities. She is survived by her daughter: Tracy (Eric) Robbins of Ligonier, and a son, James (Clare) Hill of Cromwell; four grandchildren: Tayla Hill, Megan Mitchell, Brandon Evans and Shay Hill. A great-granddaughter, Paytynn San Miguel, also survives. A brother: Richard Williams of Washington, and a sister, Judy Hoffer of Warsaw, also survive. Several nieces and nephews are surviving. Sharon was preceded in death by her husband; her grandmother, Harriett Trine; her mother and step-father, Juanita and Bascom Williams; and a brother, Terry Williams. 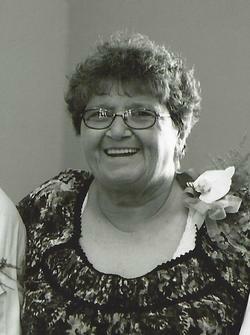 A Funeral Service in her honor will be on Wednesday July 23, 2014 at 11 a.m. at Yeager Funeral Home, 1589 Lincolnway South, Ligonier, IN 46767. Pastor Joey Nelson with Stone’s Hill Community Church will officiate. Burial will be in Oak Park Cemetery. Kenneth Dean Perry, age 71, of Warsaw, Indiana passed away Thursday, January 16, 2014 at 9:42 PM in his residence surrounded by his family. He was born in Warsaw, IN on August 27, 1942 to Dale and Grace (Kinsey) Perry. He was united in marriage to Eva Jane Sutherlin in Three Rivers, MI on July 29, 1961. He was employed by Indiana-Purdue University as a Professor of Technology and as City Engineer for the City of Warsaw. His memberships include BPOE Elks 802, Society of Professional Engineers, ASME, NRA, GOP – Kosciusko County, YMCA – Kosciusko County, and The DT’s Softball Team. Ken leaves his wife Eva Jane after 53 years of devotion. He was dedicated to meeting her needs through all the years. He passes on to his two sons, Lance Perry of Warsaw, IN and Scott Perry of Fishers, IN this legacy of devotion to spouse and a priority on family. He says see you later to his 10 grandchildren: Lauren, Landan, Ashley, Lia, Leytan, Angela, Liam, Lorelle, Lilyan and Levi. He served his local community with passion as City Engineer for Warsaw through 1982, Councilman from 1984 to 1987, and was one of six members of the Redevelopment Commission. He motivated everybody he touched to achieve high standards and set a strong example of work ethic. He had the courage to do the right thing and was willing to make the personal sacrifices required. He was a man of principle and integrity, who followed his beliefs and carried through on his commitments. He nurtured the minds of thousands of students during his 29 years at Indiana-Purdue University, Fort Wayne. Hail Purdue. He was a hard man with a tender heart and loved to see people grow. Above all, he was the protector and provider of our family until the end. Ken desired to help the Kosciusko County YMCA complete its new facility and would have greatly appreciated any expressions of love, condolences or respect be directed to this cause. 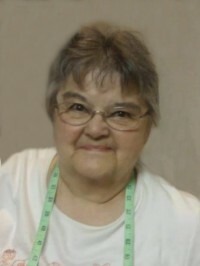 Connie Phillips, 71, of Warsaw, passed away at 1:15 a.m. May 30, 2012, in Mason Health Care and Rehabilitation, Warsaw. She was born Oct. 26, 1941, in Warsaw, to Jesse and Eloise Buell Phillips. She was a lifetime Warsaw resident and worked at Da-Lite Screen for 44 years in administration. She attended Evangelical Presbyterian Church, Warsaw, and was a member of American Legion Auxiliary Post 49, Warsaw. Surviving are an aunt, Martha Buell, Warsaw; and an uncle, Charles Buell, Warsaw. Private services are scheduled. Burial will be in Oakwood Cemetery Warsaw. McHatton-Sadler Funeral Chapel, 2290 Provident Court, Warsaw, is in charge of arrangements. Memorials may be directed to the Kosciusko County Cancer Care Fund, c/o K21 Health Foundation, 2170 North Pointe Drive, Warsaw, IN 46582. Leeanna M. Muck, 69, died Jan. 30, 2012, after a long battle with complications from open heart surgery Nov. 10, 2011, in Salt Lake City, Utah. She was born Nov. 24, 1942, in Burlington, Iowa, to Warren “Andy” and Betty Anderson. On Oct. 31, 1981, she married Fred Muck, who survives. She graduated from Warsaw High School in 1960 and was a homemaker. Also surviving are two children, Bret and Bart Hopkins; two grandchildren; a brother, Carl Anderson; and two sisters, Becky Conley and Teresa Spangle. 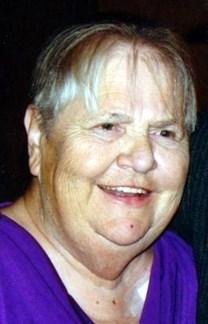 Barbara Jean Williamson, 69, of 5331 E. Old 30, Pierceton, died at 2:20 p.m. Dec. 7, 2011, in her residence. She was born May 24, 1942, in Warsaw, to Harold A. and Jean Mae Dietel Ford. On April 26, 1968, she married Richard Lee Williamson, who survives. A lifetime resident of Kosciusko County, she was a homemaker and a farmer. She was a member of Celebration United Methodist Church, Winona Lake; the Indiana Columbia Sheep Association; and past president of both Kosciusko County Sheep Association and Kosciusko County Extension Homemakers Association. She worked at many different places throughout her life including Creighton Brothers, Warsaw; delivered bulk mail; drove the van in Whitley and Kosciusko counties for JR Corp., Columbia City; was a beautician; and was a secretary at Ford’s Auto Supply, Warsaw. Also surviving are four sons: Craig (and spouse Chris) Williamson, Akron; Donald (and spouse Jamey) Baker, Tippecanoe; Doug Baker, West Branch, Iowa; and David Baker, Warsaw; three daughters, Tennley Walters, Shelley Shilling and Penny (and spouse Glen) Zorn, all of Warsaw; 19 grandchildren; seven great-grandchildren; and a sister, Donna Olinger, Warsaw, Indiana. Services will be at 10 a.m. Monday at Redpath-Fruth Funeral Home, Warsaw, with Pastor Cindy Gackenheimer officiating. Burial will be in Oakwood Cemetery, Warsaw. Calling is from 2 to 6 p.m. Sunday at the funeral home. Memorials may be made to Celebration United Methodist Church, 1289 S. CR 250E, Winona Lake, IN 46590; or to Kosciusko Home Care & Hospice, P.O. Box 1196, Warsaw, IN 46581-1196. Kathleen Bochonok of Wauconda for six years The funeral service for Kathleen Bochonok, 68, formerly of Libertyville, will be held at 10 a.m. Monday, April 11, at the Burnett-Dane Funeral Home, 120 W. Park Ave. (Route 176), Libertyville. Interment will follow in Lakeside Cemetery. Visitation will be from 1 to 6 p.m. Sunday, at the funeral home. Born May 25, 1942, in Warsaw, Ind., she passed away Friday, April 8, 2011, at Evanston Hospital. She was a graduate of Loyola University and received her master's degree from Northern Illinois University. Kathleen was a member of Grace Covenant Church in Lake Bluff and was a former elementary school teacher at District 83 in Northlake and the Union Ridge School in Chicago. Surviving are her husband, Steve Bochonok; three sons, Jim (Debbie) Boch and Jeff (Debby) Bochonok, both of Stafford, Va., and Jack Bochonok of New York, N.Y.; six grandchildren, Dominique, Amber, Lauren, Brooke, Jacob and Katie; four brothers, Mike, Jerry, James and Tim Fitzpatrick; and sisters, Sheila Conner and Sunny Fitzpatrick. For information, call 847-362-3009. 89, of Warsaw, died Oct. 8, 2009, in Lutheran Hospital, Fort Wayne. She was born July 16, 1920, in Fort Wayne, to Elmer and Rose Voirol. She was a member of Cathedral Parish, Fort Wayne, and attended Saint Michael the Archangel Catholic Church, after retiring to Florida. She graduated from North Side High School, Fort Wayne. She received a bachelor's degree in music from DePauw University, Greencastle, and a master's degree in music from Columbia University, New York City. She was a member of Delta Zeta Social Sorority; Delta Theta Tau - Honorary Teacher's Society; Indiana Teachers Association; Retired Teachers Association of Indiana; and American University of Women. Teaching for 41 years, she started her career by teaching music and art in the Ambia Schools, Benthon Point. Her second and third years were spent in the Albion Schools and the next 38 years were spent teaching vocal music for Warsaw Community Schools. In 1970, she was voted "Woman of the Year" for Warsaw. She was elected an honorary Kiwanian by Kiwanis International. She organized and directed summer choir tours of Europe from 1979-83. After retiring in 1983, she spent her winter months in Sarasota, Fla., and her summer months in Warsaw.